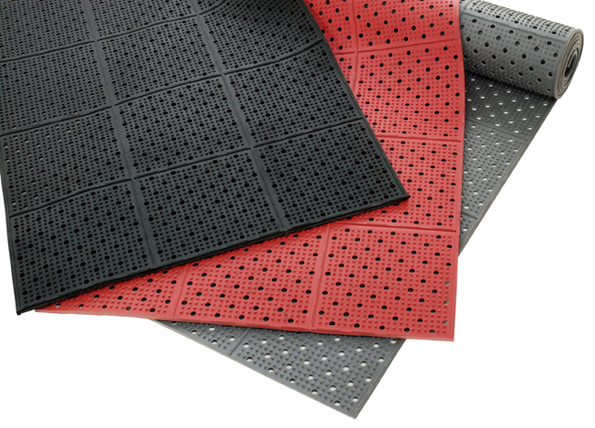 This mat was built with safety and low maintenance in mind. Because it allows for drainage of fluids, it is easily swept and can be maintained with soap and water clean up. 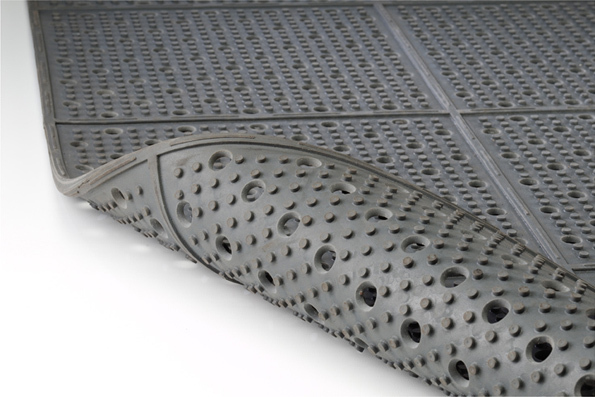 A molded, reversible tread pattern helps prevent movement and reduces slipping hazards. The Industrial Roll Mat aids in protecting floors and walkways, while reducing noise levels in work areas. 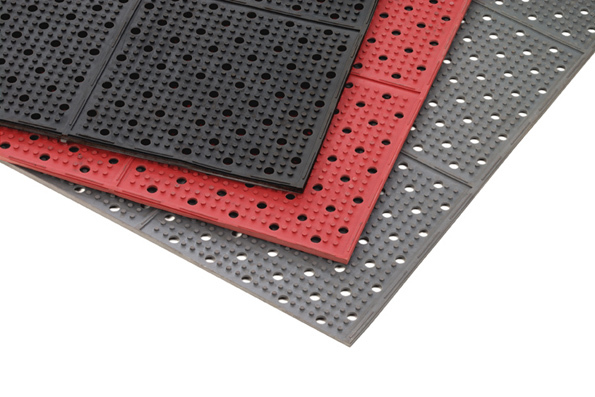 Top and bottom surfaces allow mat to be used on both sides. 3' x 36' x 3/8" [W x L x H]165 lbs.